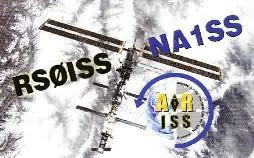 An ARISS School Contact has been scheduled with a primary school in Selnica ob Dravi, Slovenia. The Space talk is planned Wednesday, 26 March 2003 at 20:04 local time (19:04 UTC). The scouts clubstation S59TTT is in charge of the contact. The schoolchildren have prepared 20 questions. Groundstations are invited to listen to the astronaut's answers on the usual downlink frequency 145.800 MHz. We have recordings of the event. An ARISS School Contact has been scheduled with a primary school in Selnica ob Dravi, Slovenia. The Space talk took place at Wednesday, 26 March 2003 at 20:04 local time (19:04 UTC). The scouts clubstation S59TTT was in charge of the contact. The schoolchildren have prepared 20 questions. Groundstations were invited to listen to the astronaut's answers on the usual downlink frequency 145.800 MHz. First two answers were recorded at the location of the sked by S51DU. The remaining answers were recorded with Kenwood TH-D7 and Diamond X50-N at my home location. There were two radio racks. The main configuration, which was also used during the sked, included IC706MKIIG with 200 W amplifier and 9 element yagi Tonna with DL7KM antena on reserve. Backup rack included TS450S radio station with "JAVORNIK 144/14" transverter, 60 W amplifier, and GP antena from Diamond. Three electrical generators provided the energy for the radio stations, audio and video equipment, computer runing WINORBIT 3.6, and lighting. Radio contact was made between our local ham operator S51DI and KD5JBP (Ken Bowersox). The main organizer of this event was S51DU. His brother, S51MD, provided pictures for our gallery. S51PW has provided his recording of the NA1SS and S59TTT radio conversation in one MP3 file. S51UL's video of the event is available as a 90 MB AVI file. I have extracted the audio and converted it to 8 bit MP3 file of 1.2 MB, so everybody can afford to download it and listen to the whole session. The event was additionally covered by local television and POP-TV which reported about the event in their prime time news program 24ur.